Secondly, sitting at the bar allows for more intimate conversation. You’re sitting closely side by side without the sonic cloud of being placed in a small room surrounded by people sitting at tables talking over each other lofting above you. Finally, we’re cocktail enthusiasts and having a front row seat to witness the creation and development of your favorite drinks can offer quite the education. It allows you an opportunity to ask a professional about their methods and techniques. Plus, a well-stocked bar will feature a wide variety of interesting bottles, usually backlit just enough to create all sorts of curiosity and inspiration for our bar at home. 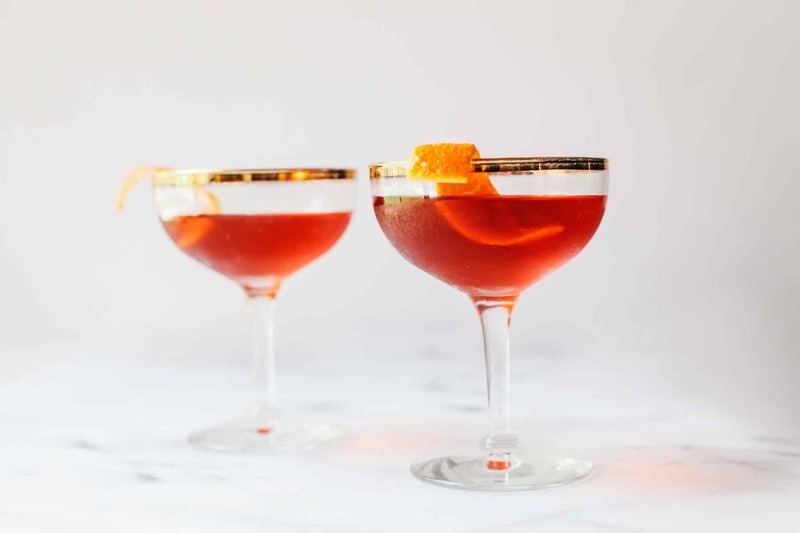 Jane and I typically like the classic brown stirred drinks such as Old Fashioneds, Manhattans and the Martinez, but we also have a strong taste for Campari drinks like the Negroni and Boulevardier (see our recent Thyme & Temp version here…). 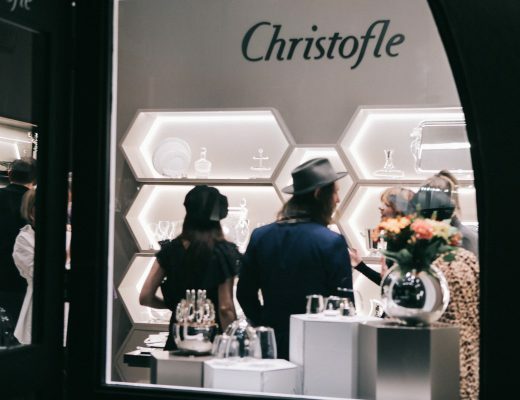 Those staples aside, nothing intrigues us more than the endless options of aperitifs and digestifs that generally provide the supporting role to the headline stars such as bourbon or gin. From vermouths and bitters to brandies and liqueurs, your drinks will become alive with flavors and colors, and the bottles will stock your cart or cabinet with interesting shapes and labels. 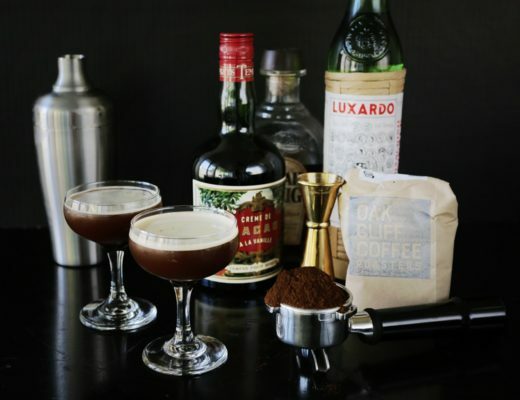 One of our more recent favorites is Amaro Nonino. We’ve always noticed its squatty rounded bottle and elegant label at a few of our usual haunts, but every time we order a drink with it, we can’t seem to isolate the flavor. Ultimately, we bumped it up to the top of our shopping list and made the purchase. Amaro Nonino Quintessentia is made with many herbs, roots and spices that create a somewhat orange-y flavor with hints of licorice. It’s not nearly as syrupy or sweet as some Amaris and there isn’t much bitterness either. You can read more about it here. To me, it does a great job of adding body with the just sweetness to coat the sharpness of your base liquor. It helps it along without overpowering it like Absinthe or Fernet Branca. After many trials, and almost as many errors, I stumbled upon a drink that uses Nonino and falls right alongside our other favorites. I call it the Kentuckiano. It’s a mix of Bourbon, Nonino, Aperol, Vermouth and Peychauds bitter with an orange slice for garnish. It was almost created as listed with each ingredient adding support to the other as I mixed and tastes along the way. It’s a bit like an Old Fashioned that’s been dipped in a Manhattan, slightly sweet with a smooth full body but without any one component overpowering the other, all coming together with an orange tinged finish. The process is easy and detailed below. We recently served them at a little cocktail party we hosted and the response was overwhelmingly positive. We hope that’s your experience as well. Pour each ingredient into a mixing glass, including the bitters and one squeezed orange peel, and stir a bit before adding the ice.